But LCM content management, is largely backed by built-in vRO workflows, and as of current version (2.0, patch3), these can NOT work with a proxy. 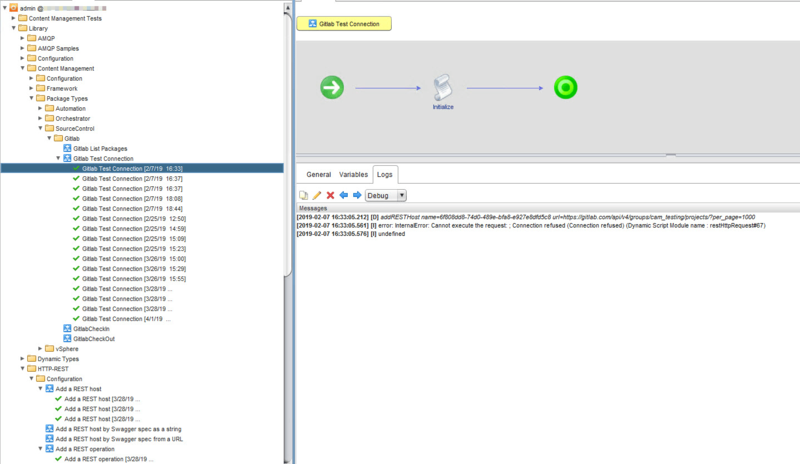 As an aside: While the UI/’my vmware’ portion of LCM works fine through a proxy, the current documentation does not tell you the complete picture of what its trying to connect to. For a better overview, check out this excellent blog post by Mischa Buijs. 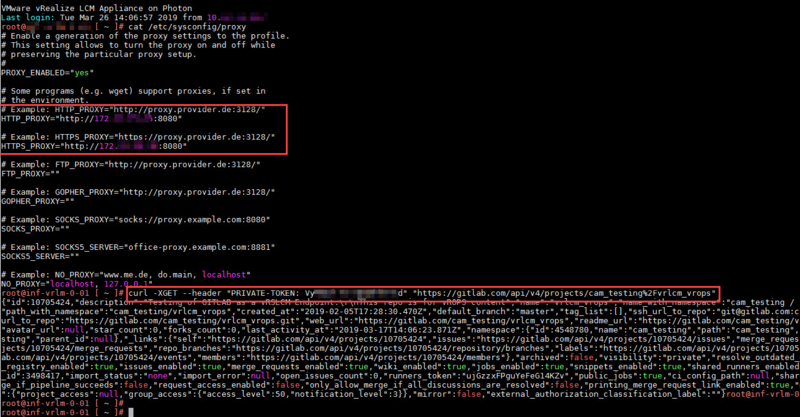 The issue with the content management, I ran into this when attempting to use public gitlab.com as a GIT endpoint, behind a proxy. I have a different LCM instance, that is able to get to Internet directly, and there using gitlab.com as an endpoint works just fine. 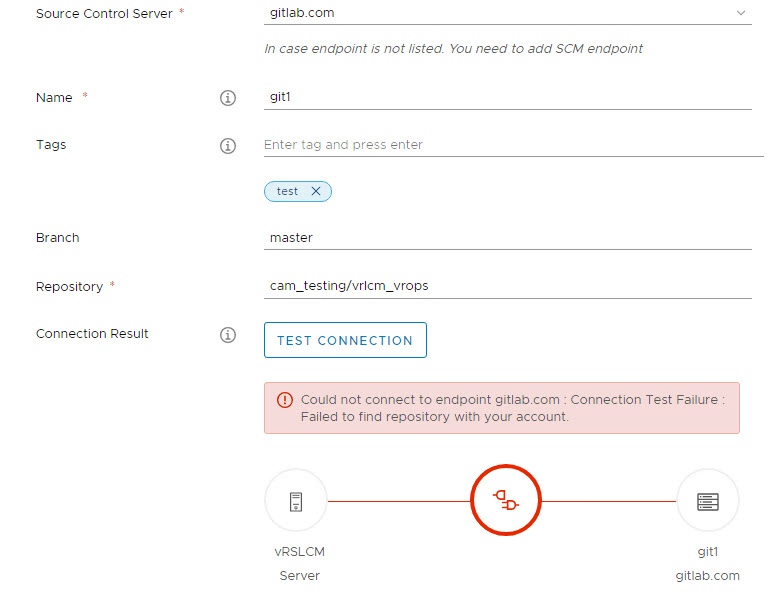 Could not connect to endpoint gitlab.com. Connection Test Failure. Failed to find a repository with your account. While vRO is part of the Lifecycle Manager appliance, it is, by default, meant to be ‘hidden’. Its used to facilitate work by the LCM itself, but is not meant for customization by end users. However, despite that, the LCM team have given instructions on how to open the Firewall, to allow access to the vRO welcome page. On port 8281. This is mainly for vRO workflow troubleshooting purposes. Here you can see the actual error is ‘connection refused’. Its not even getting to Gitlab. At least its an extra way to verify the issue is indeed a proxy and not something else. 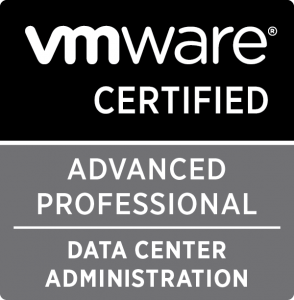 I reached out to VMware LCM team, and it was confirmed that its not supported currently, but they are adding it to the roadmap. Until that time, if you need to go through a proxy, you may need to organize an exemption for your LCM instance.